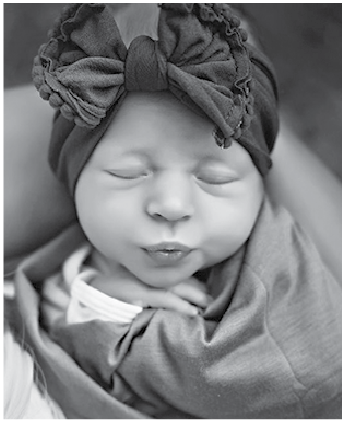 Elin Ann Davison, daughter of Tanner and Terina Davison of Wendell, MN was born on Saturday, August 18, 2018 at Lake Region Healthcare, Fergus Falls, MN. She weighed 7 lbs., 7 oz., and was 21-1/2 inches long. Elin was welcomed home by sibling, Esley. Proud grandparents are Mitch and Lori Okerstrom of Fergus Falls, MN; Frank and Mary Davison of Wendell, MN.